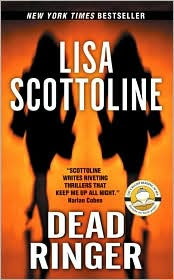 From the back of the audiobook: A New York Times best-selling author and former trial lawyer, Lisa Scottoline has won the Edgar Award and a Distinguished Author Award for her novels, which include MOMENT OF TRUTH, DEAD RINGER, filled with high-octane suspense and humor, is a Main Selection of the Literary Guild and the Mystery Guild. One of Bennie Rosato's law partners has just dyed her hair pink, and their Philadelphia firm's accounts are deep in the red. So Bennie agrees to take on a lucrative class-action suit. But as she prepares the case, her wallet, with all her credit cards, disappears. Soon, strange luxury purchases begin arriving at her office, and people start accusing her of bizarre behavior. Bennie realizes there's only one person who could pull off such a dangerous deception--her long-lost twin sister. But when Bennie is arrested for murder, she has to find her sister and defend herself--or die trying. Audie Award winning narrator Barbara Rosenblat is the perfect voice for the offbeat, outrageous young lawyer. I take my time between Lisa Scottoline's books so I can savor them one at a time and anticipate the next one in a few months. I enjoyed my time with DEAD RINGER, it was like being with old friends, Bennie, Mary, Anne, Judy (she of the pink hair). Each has a great, funny, smart, individual personality that works well in their all female law office. Bennie is having a heckuva week. Her lease payments are way past due, new business is slow, her twin sister has decided this is a good time wreak havoc....then the man from France comes in to ask for her legal assistance in a class action suit, something Bennie's not well versed in. Her team of eager associates urge her to take it on, they'll help. Everything starts to go downhill from there. The mystery is well told and I was completely taken by surprise (but not unpleasantly so) when the killer was found. There are a few stories going on at the same time, but each one is separate enough so that I didn't lose track. 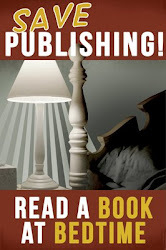 The above description is correct, Barbara Rosenblat is the perfect voice for Lisa Scottoline's books. I love the Bennie Rosato series, especially the ones featuring Mary DiNunzio and Barbara Rosenblat adds that extra touch of nifty to the experience.